Earlier this year, Arctic Zero introduced Arctic Zero Light Ice Cream, a low-calorie ice cream made with milk and cream and sweetened with organic cane sugar. 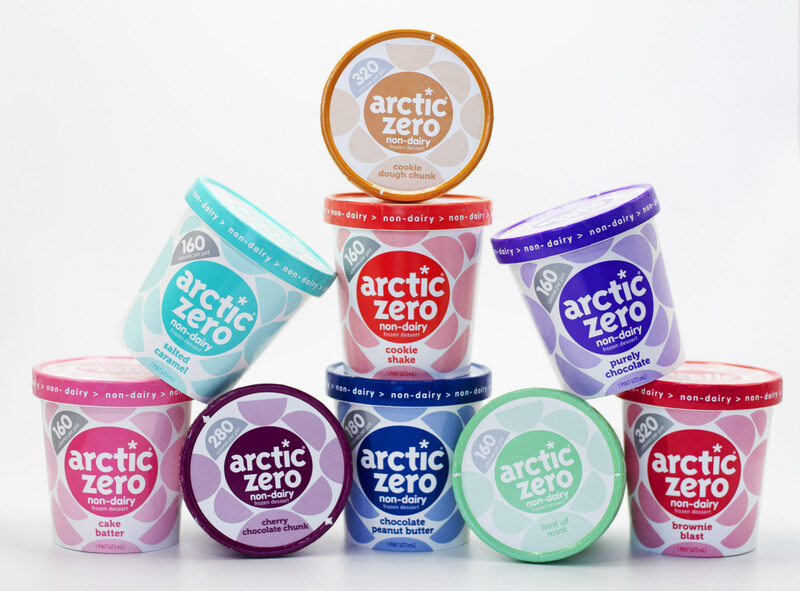 Nine flavors of the new Arctic Zero Non-Dairy frozen desserts will begin appearing on grocers shelves this month, joining Arctic Zero Light Ice Cream in the freezer aisle. low glycemic, Kosher and non-GMO Project verified. “We created the original Arctic Zero so that people with restrictions like lactose-intolerance, low-sugar and low-calorie diets could enjoy a delicious frozen dessert without junk ingredients like erythritol and other sugar alcohols,” says Amit Pandhi, CEO of Arctic Zero. Like its predecessor, Arctic Zero Non-Dairy is low calorie (only 160-320 calories per pint), low glycemic, Kosher and non-GMO Project verified. The whole line is sweetened with organic cane sugar and monk fruit and contains no sugar alcohols. Innova Market Insights data show that natural sweeteners, such as monk fruit and stevia, are gaining importance in new product launches, while the penetration of traditional artificial sweeteners such as saccharin and cyclamate has decreased in terms of the number of new product launches reported. Monk fruit, in particular, is finding broad appeal in new product development, achieving a CAGR of 48 percent in food and beverage launches (2013-2017). According to the market researcher, natural non-nutritive sweeteners in food and beverage are the top choices for health and clean label claims, as evidenced by the growth of monk fruit, thaumatin and stevia application, attracting the attention of health-concerned consumers. Healthfulness continues to drive product innovation in the US. It is gaining ground in Europe too, with new snacks promoting guilt-free indulgence by offering root vegetables, grains, legumes and other nutrient-rich bases. 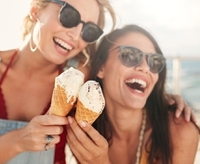 There have been a number of frozen dessert brands launched over the past year that seek to tap into the growing market for indulgent, yet healthy, desserts and snacks. Notable examples include protein ice cream brand Koupe as well as US Halo Top Ice Cream. However, Arctic Zero’s launch stands out for also fitting squarely in the current trend towards plant-based innovation. Growing consumer interest in health, sustainability and ethics are driving plant-derived ingredients and products into high popularity. Innova Market Insights reports that plant-based product claims increased by 62 percent globally (CAGR, 2013-2017) with growth occurring on platforms such as plant proteins, active botanicals, sweeteners, herbs & seasonings and coloring foodstuffs. Despite the growing consumer interest in more plant-based offerings, suppliers often face challenges in replacing the functional aspects of dairy ingredients. Arctic Zero Non-Dairy meets these challenges by using faba bean protein which, according to the company, has a smoother, sweeter, richer flavor than many other plant proteins. “In our effort to get the texture and rich flavor of traditional ice cream, we experimented with dozens of different core ingredients for our Non-Dairy pints,” says Greg Holtman, Founder and Chief Flavor Innovator for the brand. “Ultimately, the faba bean emerged as the perfect candidate for its luxurious mouthfeel and a slightly sweet flavor with no aftertaste to interfere with all of our delicious mix-ins,” says Holtman. Arctic Zero Non-Dairy comes in nine indulgent flavors, including popular Arctic Zero classic pints: Chocolate Peanut Butter, Salted Caramel, Cookie Shake, Purely Chocolate, Cake Batter, Brownie Blast, Cookie Dough Chunk, Hint of Mint and Cherry Chocolate Chunk. All flavors range from 70-90 calories per serving and contain 1.5 grams of fat or less. Arctic Zero Non-Dairy pints will first appear in the freezer aisle of Publix stores in Florida later this month and will be available across the country this fall.